The memories of Dylan's birth are fading, and although I remember the details, it is not as clear as it once was. I still remember this screaming, red baby being placed on my chest though, the overwhelming feelings of love and panic setting in at the same time. I loved this tiny baby more than I had ever loved anything in my life. I had a connection with him, a desire to protect him and a knowledge that life was just about to begin. I also realised that I had been so wrapped up in pregnancy and birth, that I hadn't considered the fact that I would actually have a baby to look after. I had never changed a nappy before, I wasn't entirely sure how often he would need feeding and as for fitting a little sleepsuit on this fragile little thing - well I was just clueless! With a little help from the internet, a lot of help from my mum, and following my instinct, I think I have done ok. I have raised a confident, healthy and happy toddler who amazes me every single day. I am on a constant learning journey though, and everyday I discover more about children, about my child and about myself. Along the way, I learnt about choices, and just how out of date some ideas are. My new baby had stacks of nappies waiting for him at home. I did have the dilemma of choosing between two leading brands, but in the end I bought a few packets of each. A couple of months down the line though, I realised there was an even bigger choice, and that nappies didn't have to be thrown away, contain chemicals or have to be bought every week. I was at a breastfeeding support group at my local Children's Centre when I discovered that cloth nappies had come out of the dark ages. I noticed a baby not much bigger than my own 2 month old, sporting a rather stunning blue nappy covered in stars. I had to know more and I was sold there and then. 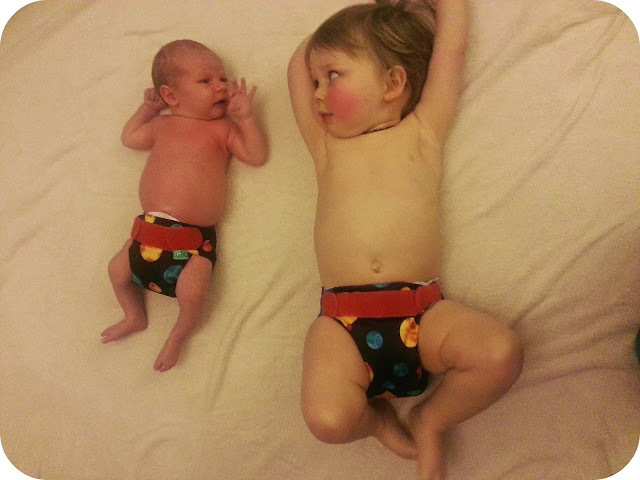 Cloth nappies are now slimmer, easier to use, faster to dry and much more convenient than the terry nappies our parents and grandparents used. They come in colours and patterns that I hate to hide under clothes and they don't add thousands of tons of rubbish onto landfills every year. They don't have to cost the earth and on that cold wet morning when you realise you are down to your last one, it isn't a frantic dash to the supermarket, but a quick wash that can be done without ever taking off your slippers. It is amazing quite how many myths there are surrounding parenting, and how fast things move, from the best advice on baby's sleep to the technology in buggies, to the development of breast pumps. Things changed so much even between my two boys and there are only 18 months between their births! CanParent are looking to bust those parenting myths, provide high quality information and run classes to support parenting skills of prospective and new mothers and fathers.